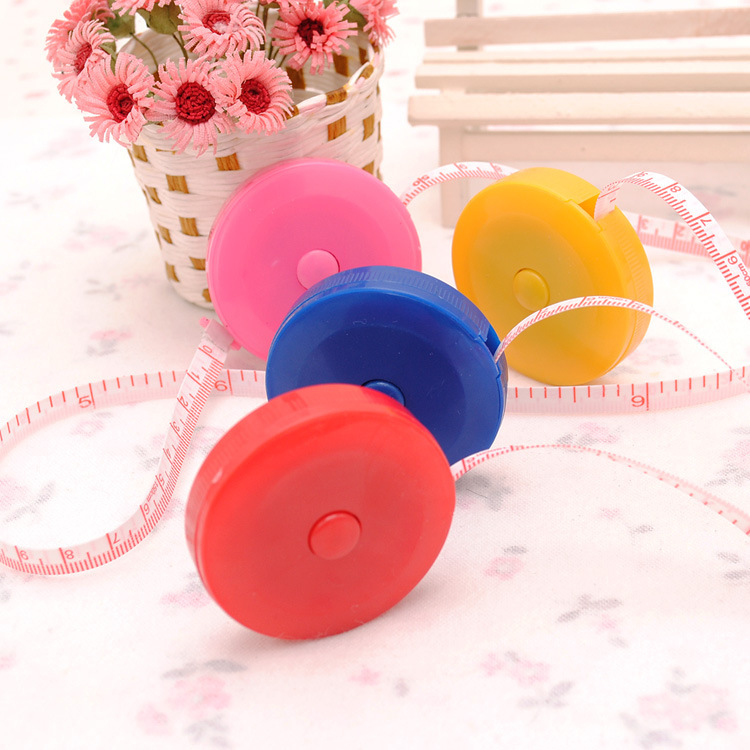 Durable PVC tape, compact, round, 60", retractable tape measure with auto lock and push button return. Mini for travel and ease of use, easily carry the tape measure in your pocket! Package: 1 pcs /opp bag, 1000 pcs/ctn, 48 lbs/ctn.